How is Biodrier doing in the UK market at the moment? Biodrier is becoming increasingly more dominant in the hand dryer market and we consider ourselves to be the only real alternative to Dyson and Warner Howard. 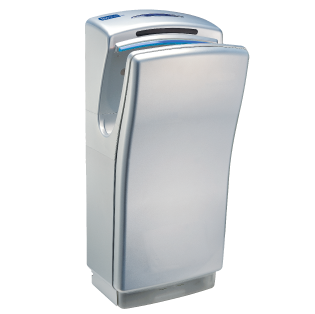 We began manufacturing hand dryers in the South West of England over 35 years ago, now manufacturing in the far east we have used our expertise to produce a superior more energy efficient hand dryer range. In the UK we see ourselves as number one in terms of quality of product, price and after sales service. Currently we produce in excess of 30,000 units a year, that’s 30% up on last year. Working with a selected group of online sellers, electrical wholesalers and washroom companies the Biodrier Brand offers not only the best product at the best prices but the best support for distributors to help them grow their business. We also OEM for a number of well-known established companies and household names in the UK and Europe. Are Biodrier particularly popular in a specific market sector? Public sector: we dominate in the public sector helped by a long (15 years plus) relationship with many local authorities: Exeter City Council, Plymouth City Council, Coventry City Council, Gloucester Council, Wadsworth Council, Ribble Valley Borough Council to name a few. Also within schools we seem to do well, the Biobot is the only hand dryer designed for schools, the others simply put a colourful sticker on a hand dryer. 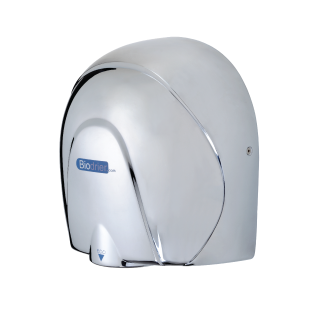 With the Biobot we increase the awareness of hand hygiene by making it a fun hand dryer. With every Biobot purchased we supply paper cut-outs for the children to play with and educate them in hand hygiene. National Health Trusts: This is a big brag!! 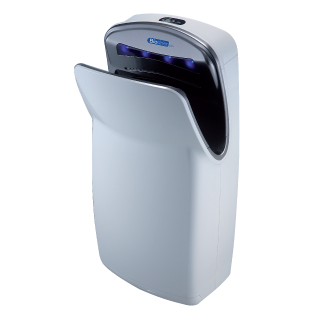 We are the nominated warm air hand dryer supplier for: Dorset NHS Trust, Royal Devon & Exeter Hospital, and South London and Maudsley NHS Trust (SLaM). The big selling point is that NHS trusts would not specify us unless they believed that our hand dryers met their hygiene requirements, need I say more? Food Industry: We have our hand dryers, the Biodrier Executive in particular, in many food factories across the country and even though these are not large volume sales, the fact that we are there is testament to the hygiene qualities of the Executive. The Department of Energy and Climate Change trialled a number of hand dryers before they realised that Biodrier was the best of the best and had them installed in the head office. Biodrier have a very broad range, but which is the most popular? 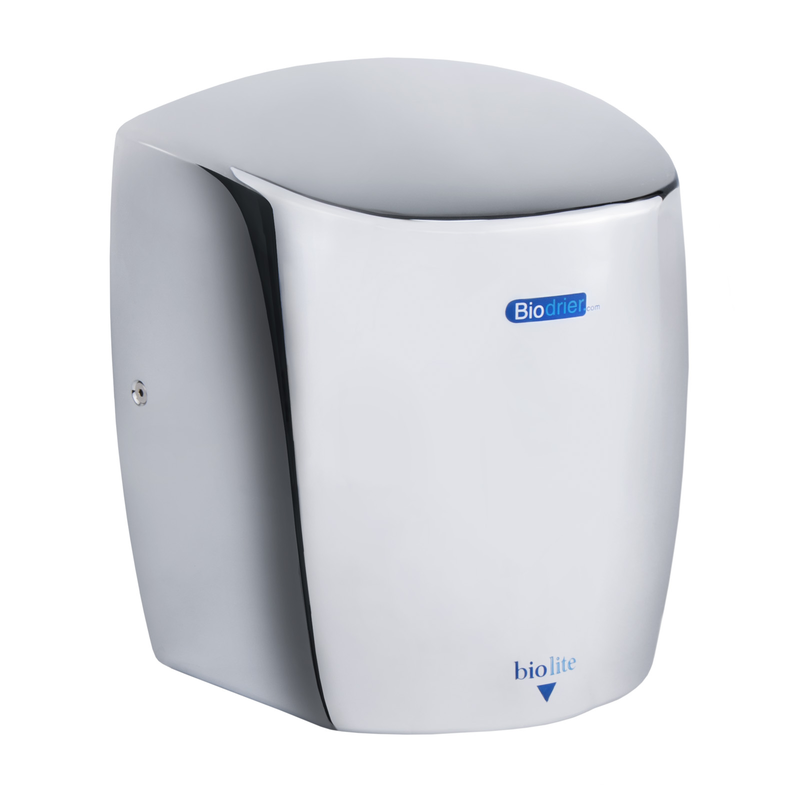 75% of Biodrier sales are Biolite and ECO with the Biolite taking over as the first choice when considering a hands under energy efficient hand dryer. The Executive and Business are evenly matched, the Executive being more popular where hygiene is crucial and the Business2 for high volume use areas. 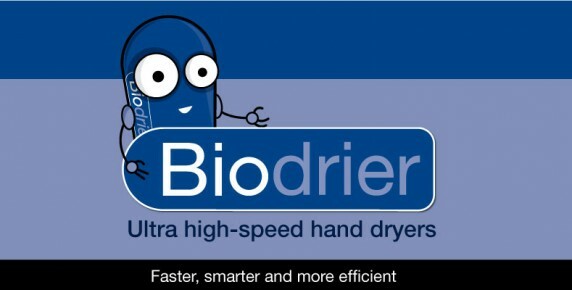 What do people like about the Biodrier range? Executive – First impressions are always important and with the Executive this always wins hands down (or hands in excuse the pun) with its looks, then the hygiene features are key along with the warning indicators for the filter change and water tray over flow. They love the moisturising gel and fragrance. Business – Without doubt the brushless motor is important as most people know that this will give them years of untroubled use. ECO and Biolite – These are now well known across the country as they gain volume sales. The big differentiator is the noise level as it is noticeably quieter than the nearest rival. From a distributor point of view we have a better range compared to any other supplier. We offer Blade type dryers and hands under dryers. I can’t think of a manufacturer / supplier that offers such a complete range. Dyson have the blade and the V but it doesn’t have an energy efficient hands-under dryer. Warner Howard doesn’t have a blade type dryer but a good hands-under, so as a manufacturer goes we have the most complete range. Factor in the new 3D Smart Dry and we have it all!